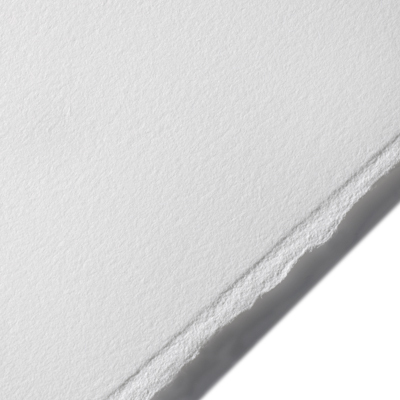 This 100% cotton paper was introduced to satisfy a niche group of photographic artisans who print using the palladium and platinum printing process. This printing process is a delicate balance between chemistry and the photographic image. The paper must be free of any alkaline or buffering substances or chemicals because of the use of acidic solutions in the clearing process of generating the final print. The paper's wet strength is also of great importance given the numerous chemical baths the final print has to go through and finally attribute to it's ability to dry flat. There are only a few special grades specifically designed with this process in mind and Arches Platine was the first. Available in a bright white tone with a satiny smooth finish, deckled four sides. Its watermark only adds to the deluxe allure of this fine quality art paper.